The Celts were a diverse and varied group of tribes that once occupied much of iron-age Europe. This French Celtic Helm is named partially for its origins, and partially because it is modeled after a Celtic helmet that was unearthed in France. Celtic armor and equipment can be as diverse as their people were, given how wide-spread they were as a people, and the different styles of Celtic helmets reflect this. 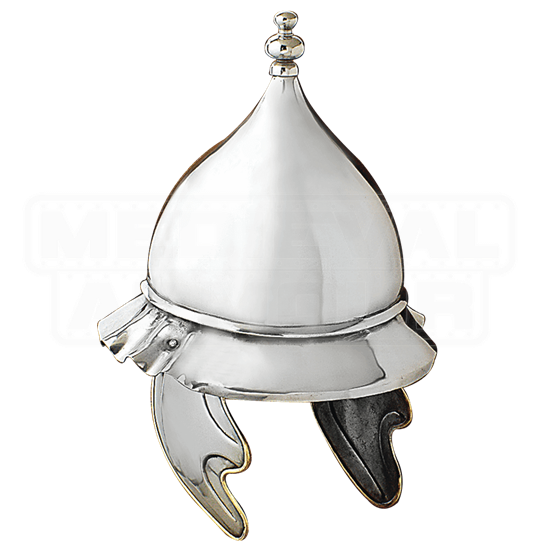 This helm is made from quality metal and features a simple, protective design. The helmet has an elongated cap that rises into a rounded point, while the cap of the helm also features a rounded brim that would have directed anything striking the top of the helm, whether it was debris, water, or a blade, down and away from the wearers face. 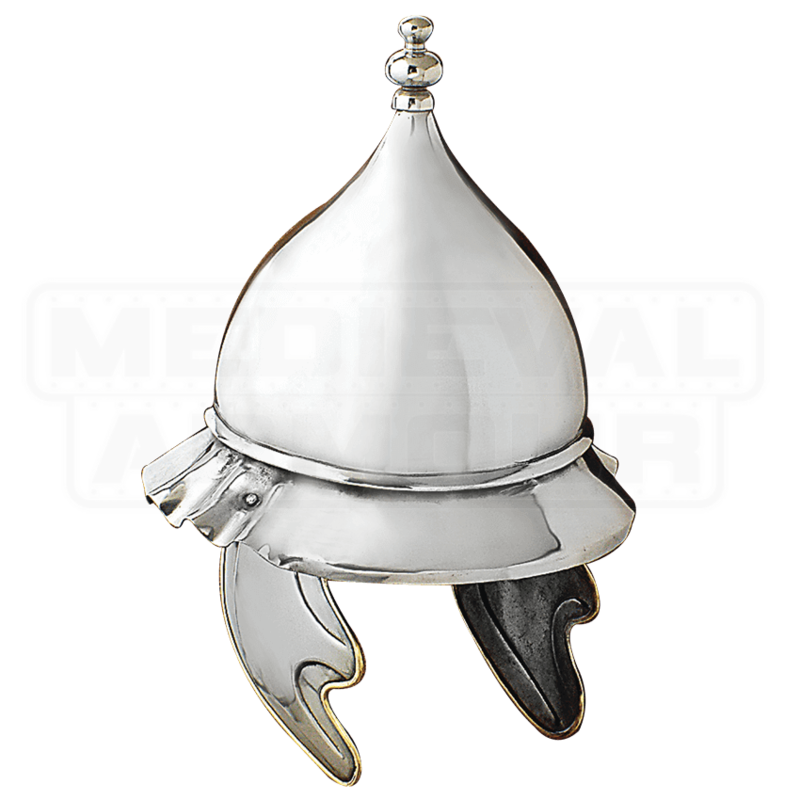 This helm also features simple extensions along the side, which are designed to protect the wearers ears and cheeks. Simple and straight-forward, this French Celtic Helm is a fantastic reproduction of a classic looking Celtic helmet, the type that likely would have been common among Celtic foot soldiers, who would have wanted maximum protection.